This entry was posted in Update on February 26, 2018 by richard. 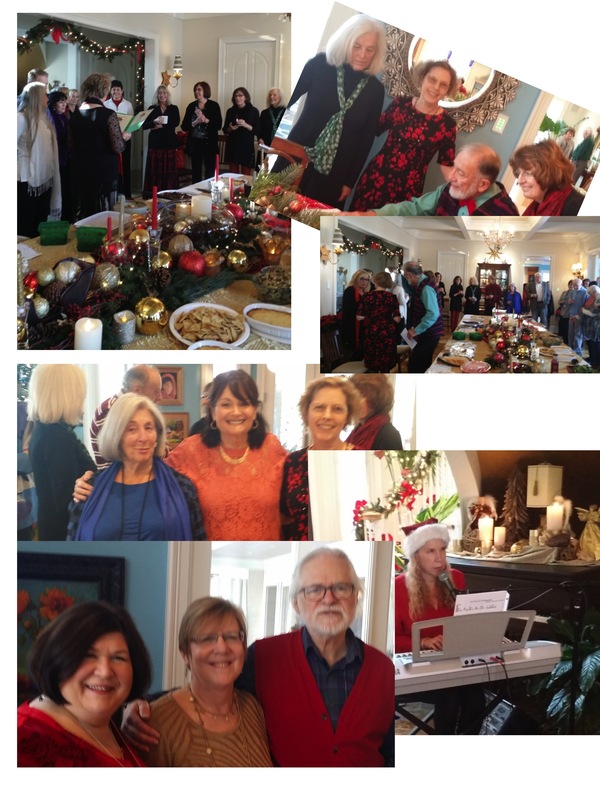 ACT celebrated the Holidays with great company, great food and wonderful music. This entry was posted in Update on January 14, 2018 by richard. Paul Sivert, the founder and owner of the Shamanic Healing Institute, spoke at the ACT October 8 gathering. Paul is a Licensed Clinical Professional Counselor (L.C.P.C.) and a highly trained shamanic practitioner healing professional. 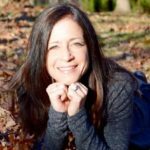 The mission of the Shamanic Healing Institute is to heal and teach people through individual and group spiritual healing sessions, workshops, retreats, practitioner education programs and products. Paul’s vision is to preserve the cross-cultural healing traditions and teachings and integrate them into energy healing practices. Paul led us through one of the most common practices of the tradition, a Healing Journey. He began by creating a sacred safe space with a ceremony that invoked and welcomed our helping spirits from the South, West, North and East, from Below and from Above and by referencing the sun, air, water, fire elements. Paul then led a guided meditation to ensure that everyone became aware of their personal spirit guide. Temple of Wisdom – Sacred Knowledge. Paul suggested that we might want to take action in the temples to: 1) Let something go. 2) Ask a question. 3) Receive a gift. 4) Receive a message. And so the drumming began. When the final drum signal brought us back from our journey we shared our experiences. It became obvious that no two journeys were alike and yet there were common elements in all of them. Divided into smaller groups we shared specifics about which temples we explored, our visions and any actions taken. The room was filled with increased energy and animated conversations. It was a remarkable afternoon and we all took away a better understanding of the potential and possibilities of integrating Shamanic techniques into our lives. This entry was posted in Update on November 1, 2017 by richard. There was a time, not so long ago, when our clan or tribe would come together in common unity (community) to connect and sing and dance. Perhaps around a campfire, a temple, or other sacred setting we would gather to listen, …to listen to the bards and storytellers as they reminded us of what was truly important. 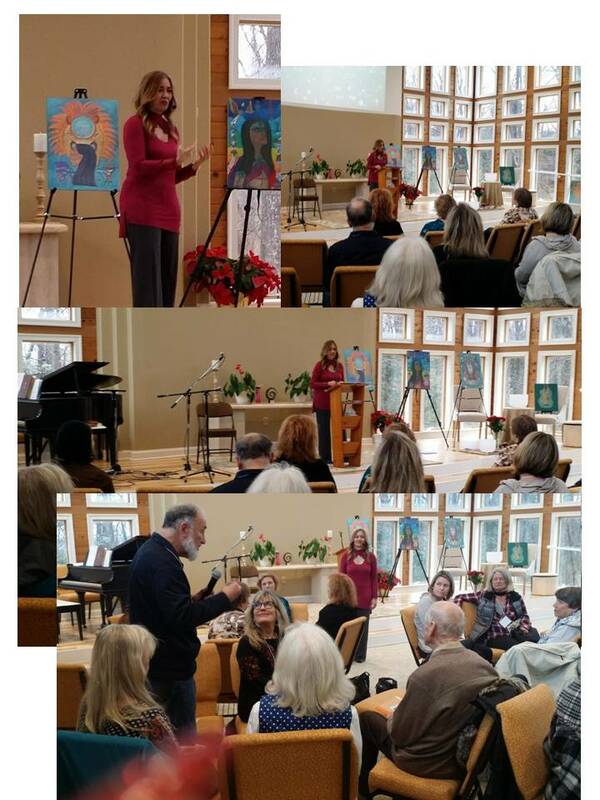 This past weekend ACT sponsored one such event at Unity by the Bay, featuring Dale Allen Hoffman and Bob Sima in an Exploration of Mysticism. Beyond being uplifted and entertained, we were reminded of deep spiritual teachings; “…to come prayerfully before Spirit empty, willing to be filled…”, “…to find eternity in the space between now……and now…”, “…to ask ourselves mindfully, ‘am I breathing, or am I being breathed?’…”. We explored the ancient modality of ‘toning’ and broadened our awareness and sensitivity to the vibrations in our lives. This included several delightful songs by Bob Sima which reaffirmed, “…we are the one…” and “…something’s gotta burn, gotta burn inside—if you’re gonna shine, shine, shine…”. Through a celebration of breath, we came to a realization of the sacred cycles through which we live our lives, the cycles of the seasons we perceive, and the simplicity of our Oneness. As David Allen Hoffman explained, “To speak your prayers through your heart, in the words of the Lakota, is to ‘Let the wind (Spirit) blow through you’”. “Consciousness of breath”, he continued, “in many past teachings and languages, IS the key to present moment living.” It’s not so much about what we say or pray; it’s about the vibration or intent behind the words. By accepting the natural joy of being creative, many who participated left a little more light-hearted, with a little more spring (seasonal cycles…) in their step. When you trust in yourself, and expect the universe (Spirit) to support your dream….it will! This entry was posted in Update on May 25, 2016 by richard. What is going on with ACT now? We have a full calendar of consciousness raising events planned over the next few weeks, but I want to answer this question on a broader and deeper level. Whereas our name and our vision are one in the same, we are participating in creating …”a community of transformation”. But what does that really mean? It means that we come together with the deliberate intent to explore and express our “oneness”. We stand up and speak up for the sake of creating an inclusive community here in our Annapolis area. We take this healing conversation to others; raising consciousness, spirituality, and awareness. We reach out together to encourage and support whenever and wherever possible. And, we are doing this now……if not now, when?!? Our outer world is clearly in a time of transformation, but it is actually each of “us” who is being given the opportunity to transform. We’ve all heard the spiritual teachings: “That which you are looking for is your next step.”, “You must be the change you want to see in the world.”, “The steps of getting there are the same as the qualities of being there”. Even Michael Jackson admonished us with “…If you want to make the world a better place, just take a look at yourself and make the change.” So, if not now, when?!? We are showing up… willing to celebrate the harmony and grace which is our spiritual birthright. Yes, our world, both locally (as exemplified with the recent political rhetoric) and globally (as expressed through the fear and pain of terrorism), is experiencing what might be seen as “birthing pains”; a new, transformative consciousness is striving to be born! We can each look at ways this higher vibration is trying to be born in our own lives. We, as participants in ACT are not alone! We are joining together, and we have the strength to share in this adventure of growth and development. We invite you to add your voice to our chorus. We invite you to join in, to show up…..to ACT NOW. This entry was posted in Update on April 10, 2016 by richard. Unity by the Bay in Annapolis. This entry was posted in Update on August 16, 2015 by richard.